Ashkenazy Acquisition Corp., the U.S. real estate investor that recently bought a stake in New York’s Plaza Hotel, said that it acquired the Grosvenor House hotel in London, helping resolve an imbroglio that kept ownership of the famed properties in limbo for three years. Terms of the purchase, announced on Friday, weren’t disclosed. 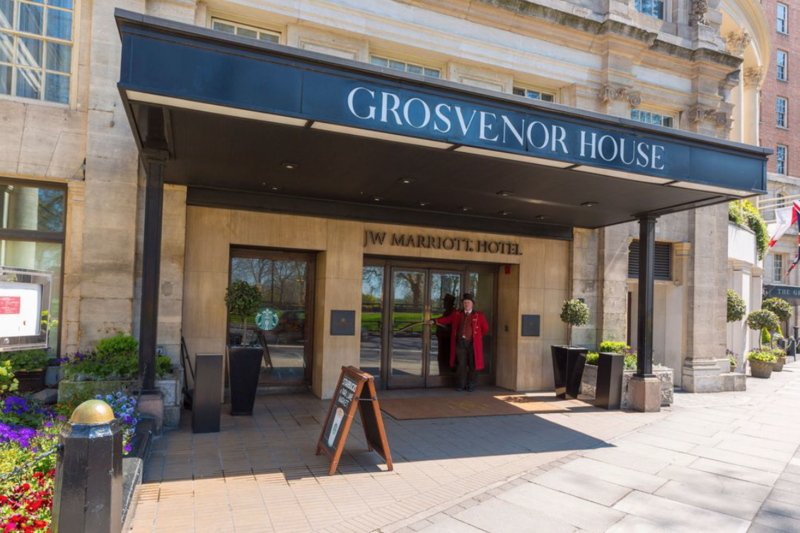 The Grosvenor House acquisition “reflects a continued aggressive focus” on buying an additional 2 billion euros ($2.3 billion) of “global iconic assets” over the next two years, New York-based Ashkenazy said in a statement . Billionaire brothers David and Simon Reuben held the debt on the Plaza and Grosvenor House, which were cross-collateralized with another hotel, the Dream Downtown in New York. The Reubens had bought the debt after a default by Sahara India Pariwar, controlled by Subrata Roy, who was imprisoned in India in 2014 for allegedly defrauding investors. The Reubens had scheduled an auction for the Plaza early last year, then canceled it after negotiating a debt extension. Prospective buyers including Qatar Investment Authority had explored a purchase. The chateau-like Plaza, located at the corner of Fifth Avenue and Central Park South, has changed hands many times over its 110-year history. Previous owners include President Donald Trump and Israel’s Elad Group. Saudi Prince Alwaleed bin Talal has held a stake in the property since the mid-1990s. The Grosvenor House opened in 1929 on Park Lane in the Mayfair neighborhood, one of London’s poshest. The property is managed by Marriott International Inc., whose chairman, Bill Marriott, likes to stay there when he’s in London. A bid of more than 600 million pounds ($774 million) for the hotel was made by David and Frederick Barclay, the billionaire owners of the Daily Telegraph, the Sunday Times reported in April, citing a person with knowledge of the matter that it didn’t identify. Ashkenazy’s other holdings include Union Station in Washington, Faneuil Hall Marketplace in Boston, and 625 Madison Ave. in New York. The firm has assets valued at more than $10 billion with a focus on retail, hotel, office and residential properties, according to the statement.